Recently, I have heard from another breeder that several of their kittens or cats had tested FALSE-positive for FeLV/FIV using a "SNAP" test. SNAP is a test that a veterinarian can perform "in-office" using a small amount of blood from the cat or kitten. However, these tests can produce "false-positive" results. The in-office SNAP ELISA ("enzyme-linked immunosorbent assay") test is a good screening test. However the test cannot distinguish between a positive antibody result (caused by true infection), maternally inherited antibodies, or antibodies developed as a result of a vaccination. Many times, a false-positive SNAP test result is because of improper handling or a bad batch of testing units. No test is always 100% accurate under all conditions. Therefore, all test results should be interpreted in light of the health and likelihood of risk (i.e. : commonly found in outdoor cats with exposure to other cats positive with the virus). A cat (or kitten) with a positive SNAP test result should ALWAYS be re-tested using a different test through a diagnostic laboratory. Cats or kittens testing positive using the SNAP test and testing negative using the diagnostic laboratory are considered not to have FeLV or FIV. If your cat or kitten has a positive SNAP test result - Do NOT panic. Simply ask for another test to be done using a secondary testing source. Additionally, a false-positive result does not mean the in-door only cat has to be re-tested every year thereafter. 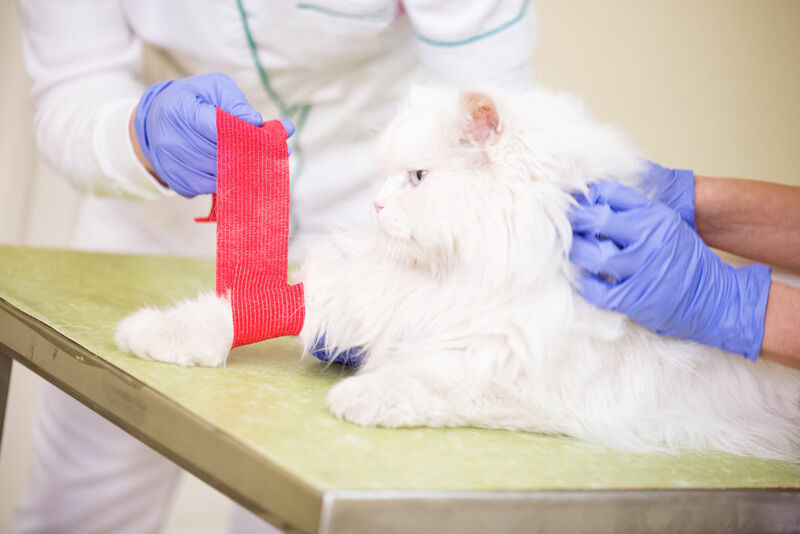 Once a negative test is received from a secondary testing source, that means the cat is negative – no further testing is necessary as long as there has not been a risk of exposure such as your cat escaping outside or a if there is exposure to an new cat or kitten with unknown background and risk factors.